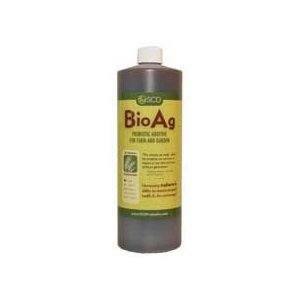 There are many organic fertilizer products available online. 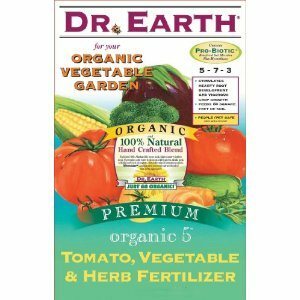 Many are not particularly good (potentially even harmful), so I thought I’d browse through and make a list of the best organic fertilizer options for you. I originally focused on fertilizers sold at Amazon.com, but have since stopped supporting Amazon, so I’m now in the process of removing those links. Instead, I decided to keep the same list, but link to my other favorite online fertilizer suppliers. And then almost 3 years after I wrote this post, I decided to sell a small selection of the best organic fertilizers I’ve personally used. So sometimes I link to them down below, and sometimes I link to other ethical suppliers. You can check all of mine out here if you’re interested (for some of them, I actually tell you how to make them yourself). This research process involved going back to the fertilizer manufacturers’ websites and reading through their MSDS sheets and labels to see what the products are really made of. Lots of work, so I hope it’s useful to you. Amazon sells a lot of fertilizers. I found a few good ones for you, along with some not so good ones to stay away from. By the way, there are some companies who seem to have their hearts in the right place, but I just can’t recommend them because I don’t like some of the organic fertilizer ingredients they’re blending together. I’m not trying to pick on them, though. This is basically effective microorganisms, a microbial inoculant. 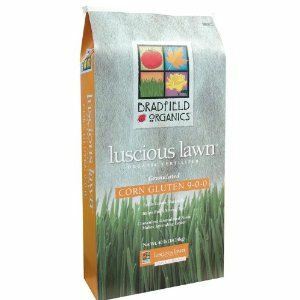 It’s not technically a fertilizer, but it’s the number 1 product I use in my garden, even before organic fertilizers. Actually, I buy a mother culture, which I can activate to make my own, whereas this is more of an already-activated product that would just be used straight from the bottle. Ignore the lukewarm reviews on Amazon – this product is incredibly useful. Good price and a really nice liquid fish hydrolysate. I’ve actually partially moved away from fish products in favor of ocean water products, because the results can be incredible and ocean water is much more sustainable. 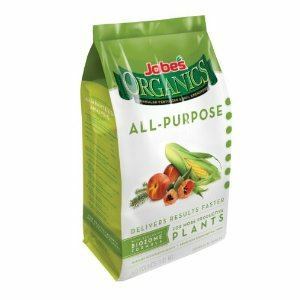 This is a decent rock dust fertilizer, one of the best organic fertilizers on Amazon, providing a broad spectrum of minerals for your soil instead of just N-P-K. If you can find it locally in your local farm supply store, you’ll get a better deal. 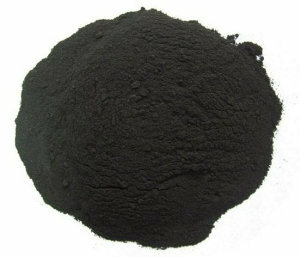 This organic fertilizer for vegetables contains fish bone meal, kelp meal, feather meal, alfalfa meal (alfalfa is now genetically modified, but according to the label, this product doesn’t contain GMOs), fish meal, soft rock phosphate, mined potassium sulfate, seaweed extract, humic acid, and 7 strains of soil microbes plus endo and ectomycorrhizae. I usually stay away from blends, but these ingredients should be okay. I like that it doesn’t contain bone meal and GMOs. 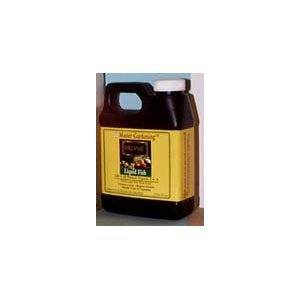 Wholesome Sweeteners – Organic Molasses Unsulphured – 32 oz. 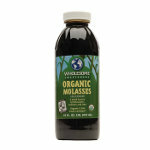 Molasses is an incredible fertilizer! It supplies carbohydrates to feed the beneficial microorganisms in the soil, plus vitamins and minerals. Blackstrap molasses is the best, and you want to go with unsulphured, because the sulfur kills microbes. This is a little more advanced, but humic acid is an excellent addition to a foliar fertilizer such as kelp or fish because it helps the plant take in the nutrients from those fertilizers. Actually, humates have a number of benefits. 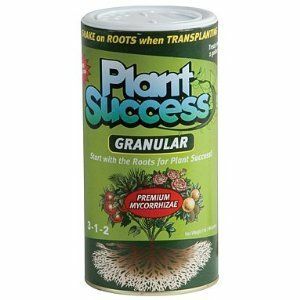 This product is the best one I’ve found, so I was excited when it made it to Amazon.com, but I don’t recommend it as a top priority for most home gardeners. 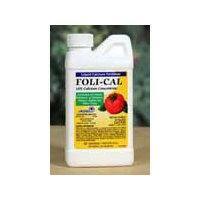 Most gardens would benefit from the occasional liquid calcium application. I don’t generally recommend single-mineral applications without a soil test, but calcium is the exception. There are better liquid calcium products out there, but they are very difficult to track down – this is the best one I found on Amazon and it is decent. This is my top selling product, and definitely 1 of the top 3 I recommend to my students, customers and clients. It’s a special fungus that associates with over 90% of plant species at the root level and brings those plants nutrients and water, in addition to protecting their roots from predators. This is a nice seaweed product from a company that’s been around for awhile. Their organic kelp meal is also good. Seaweed is full of natural plant growth hormones and over 70 minerals that improve plant health. Kelp is one of the best organic fertilizer options. Bioform Liquid Organic Fertilizer 32oz. This liquid organic fertilizer contains some good ingredients – molasses, seaweed and fish hydrolysate – but it also contains bone meal, which I no longer recommend due to the potential transmission of prions associated with mad cow disease and also heavy metal concerns. I’m always kind of on the fence about bone meal, not wanting to totally bash it, but not promoting it either because of the potential problems and because there are better options. This might be okay, but I can’t find any information on it, which always makes me walk away. Is it really organic? Is it poor quality? An emulsion is often not as good as a hydrolysate, but can certainly be useful – still, there’s no way to tell what is in here because they don’t have any info on it. Seems like it might be okay, but I can’t find the ingredients on their website. If they don’t list the ingredients, I don’t buy. The company looks cool, but I’m not a huge fan of the ingredients in their products. This product (and others from this same brand) contains ingredients that I don’t usually recommend – bone meal, sulfate of potash (useful only if you need both sulfur and potassium, which you very well may not), composted poultry manure (may be okay if it was from organic birds, but is it? ), and feather meal (which may or may not be okay, depending on source). 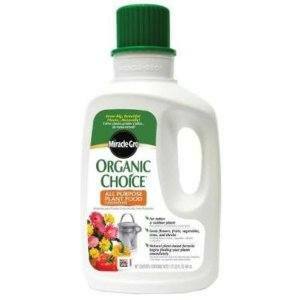 In my opinion, this organic gardening fertilizer is not as good as some other fish products, and I don’t like the track record of the parent company Lilly Miller. I prefer the Neptune’s Harvest fish and seaweed up above. 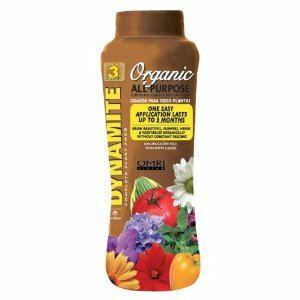 That being said, their 5-1-1 product is OMRI Listed, so it’s allowed in organic farming. I’m sure it’s still beneficial. 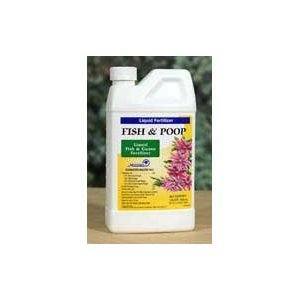 Update: My fish fertilizer here is way better. It’s liquid fish and bat guano. Can’t find much info on it, and it just doesn’t look very good. It may be fine, but I can’t find more details on what’s in it along with an MSDS. I don’t support Miracle-Gro (made by Scotts – see below). Other than that, this product – fermented sugar beet molasses – could actually be a helpful organic fertilizer and biostimulant in the garden, but my main concern is that sugar beets are now being genetically modified. It’s sewage sludge, which research shows is toxic stuff no matter what they do to clean it up. It’s true that we need to find ways to deal with our sewage – and more important, we need to stop dumping chemical fertilizers, pesticides, heavy metals and other industrial toxins into our soil and water systems – and using microbes as part of that process is great, but in my view, putting it on our gardens is not the answer. 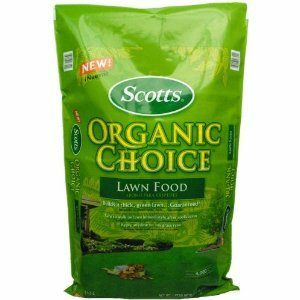 I don’t buy anything from Scotts, not even organic garden fertilizers. In my view, their goal is only profits, not quality. In my view, their chemicals are destroying this earth and they are an unethical company. Just my opinion. Corn gluten can be useful, but this (like most) will contain genetically-modified corn gluten, which we don’t want in our gardens because we just aren’t quite sure what might happen to it when it gets into the environment and is consumed by microbes. Do you have any thoughts or questions on which are the best organic fertilizers for your garden? Feel free to let me know below. Previous: Sustainable Fertilizer – Should We Use Lime Deposits? Thank you for putting this information together. Although prefer to get the products from the Organic Gardener’s Pantry, the information about the Amazon.com products is very useful. Hi Phil. First, thanks always for starting Gardenerpantry so we can access the best bio-friendly soil amendments easily in our area of the world.Second, organic fertilizers…always been such a huge area, which has baffled me. Every manufacturer makes such exciting claims about their product…kinda like nutritional supplements…we could easily blow our entire incomes on these things that all sound soooo good, sigh…Not one that Amazon sells but, wondered what you thought about the “perfect-blend” take on things…their articles in Acres mag have intrigued…but then I’ve jumped on so many bandwagons before and my garden and containers could still be better. I do still love the Pacific Natural fish, as well as Sea-Crop the best. Always hunting for that elusive silver bullet tho…grin! 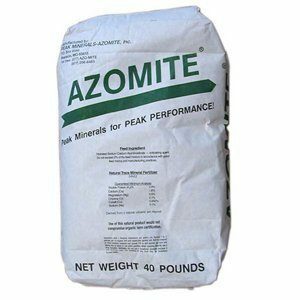 I actually don’t pay much attention to the organic fertilizer industry nowthat I feel I have my bases covered with just a few things, so I had neverheard of this product. Like you, I used to get excited about all of thedifferent products, but now I stick to the ones I know.I skimmed their huge sales letter, but didn’t figure out what theingredients are. Do you know? Great info. all around. I’m new to organic gardening and I’m delighted to find your blog. I live on the coast of Washington state. How might I use ocean water and kelp? Are the other sea weeds/grasses washed up on the beach or any value?Thanks again. You can apply ocean water at one cup per square foot of soil. Kelp and other seaweeds can be used as an incredible mulch, but be sure to leave some on the beach because it’s important for that ecosystem, too. Isn’t salt toxic to plants? This is the first time I’ve heard of seawater to water plants. What about all the plants that can’t grow too close to ocean? Sodium is a plant nutrient, just like calcium and magnesium. Too much is a bad thing, but a little is important. And sea water has all 80+ other minerals. So if I have a saltwater aquarium, I should be able to use the water from a water change for the garden? I know it’s good for freshwater – I just always thought the salt wasn’t good for the plants. Thanks! You didn’t mention AGGRAND ORGANIC FERTILIZER. If you want more information about it you can contact Robert Running at 216-334-7990. This person is making judgments that are completely uninformed. Monterey Fish & Poop works for us, and we’re ordering more. Nope, not completely uninformed. I’ve been researching and using organic fertilizers since 2007, when I used to sell them. When I can’t even find an MSDS on the manufacturers’ website, that’s a red flag. And I’m not a big advocate for bat guano, so I wouldn’t recommend this to my clients. 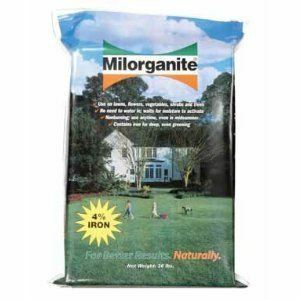 Claiming that Milorganite is toxic is simply wrong. Furthermore, suggesting that Scotts is “unethical”, someone someday just might consider your comment libel. While I do agree with some (very few) of your findings, many of your opinions are clearly bias and inaccurate. I hope your video “How to Test Soil” includes when and when not to test Nitrogen. Not to many are aware that rainfall and temperature can cause the results to fluctuate widely. If you are serious about accurately informing the public, then you seriously might want to consider changing much of your “opinions”. Good luck to you. Thanks for your comment. Milorganite is not allowed in organic farming for a reason. There is plenty of easy-to-find research on the toxicity of sewage sludge and products derived from it. As I said, it’s great that they’re cleaning this stuff up, but we shouldn’t be spreading it on our gardens, especially our food gardens.Please convince me that Scotts is an ethical company.Yes, my opinions are biased (that’s why they’re “opinions”) to protecting and enhancing the health of every living organism on the planet. Thanks again for your opinions. Free speech rocks! It’s up to you to support the reasons why YOU believe Scotts is an “unethical company”. As I originally said, there are laws ‘libel’ that could get you in trouble for posting such comments. If you cannot support your comments or opinions, it is NOT considered ‘free speech’. I do not work for Scotts, nor do I purchase Scotts products. I too believe there are better products on the market that are natural, and do much less harm to our environment. Espoma is quickly becoming very popular with homeowners.I own a small business. If you posted that ‘unethical’ comment about my company, I would have pursued all legal remedies against you. I’m confident you would have paid me in damages due to your slanderous post. I’m also confident that Scotts has bigger fish to fry.There are ways to educate people. The way you do it is by giving them enough knowledge allowing those to come to their own conclusion. Being bias does not educate. I’m sure we could go back and forth all day, Jacob. Please feel free to have the last word – I allow all opinions on this site.I will just mention that it IS considered free speech even if I don’t support my opinions with data. There are libel laws, but opinions are not liable, at least in the U.S. and Canada. You’re right that they could sue me, but they wouldn’t win.That being said, I certainly agree it would still not be much fun to get sued, that’s for sure. Costs a lot of money and time.I also agree that bias does not properly educate. You have to understand that this is just an opinion blog, so my goal with each post is not to explain everything I say. If I did, each post would become too long. People who follow my posts will get a more complete story on sewage sludge and chemical fertilizers and GMOs and all that stuff, but indeed if they just drop in for 1 short article, they won’t get the complete picture.Thanks again for stopping by and offering your thoughts. ‘Their chemicals are destroying this earth’ is not an opinion; it’s an assertion stated as if it were fact. you’re awesome. serious tact and integrity in your posts and responses. super helpful. thank you. Hmm, I’ve never used firebelly. I can’t recommend a complete lawn care program because it depends on what your soil needs, which you can find out by taking a soil test and sending it to a good organic lab. But for broad spectrum nutrients, I like compost, ocean water concentrates, kelp, non-gmo alfalfa and rock dust, to name a few. I agree, vermicompost rocks. And I also agree about the seaweed – I wrote this article a couple of years ago right when I was starting to learn about unsustainable seaweed harvesting. Maxicrop does seem to source their seaweed from a company that practices sustainable harvesting techniques that allow the seaweed to grow back and be harvested every 5 years, but please let me know if you have some contrary information. Thanks! Love this article, trying to get into organic fertilizer supply business and this has further widened my knowledge of the product. Thank you. Oh wow, thanks for doing this research. I was starting to do this job myself, but you have saved me time. I appreciate it.Wish the fish fertilizers would note if the fish ingredients came from the wild or organic fish farms or, well, the others have no real reason to make a note. I agree that there are more sustainable fertilizers available, but not so sure if seaweed is one. We shall see. I’m open minded about it.Thanks again. Seaweed is sustainable if harvested sustainably, but some companies are definitely overharvesting, and I’m not 100% sure about all the companies I listed here.All fish fertilizer I’ve used comes from the ocean, not farmed, but perhaps they are starting to use farmed fish for fertilizer, I don’t know – either way, many companies certainly aren’t doing it sustainably, if there is even such a thing anymore. What do you think of Protogrow? I was using it per instructions on the bottle,(once a month) but didn’t really get much results. Then I read one post today that said to use it once a week! What is your “beef”(pun intended) with using animal products? Just wondering. To my mind using animal waste is, well, not wasteful. I’ve never used that brand, but kelp and fish can both be very useful. Still, they aren’t a magic bullet, so if what they give is not what your garden is most lacking, they may not make a difference.Not sure which animal waster your referring to, but if you clarify, I’ll be happy to answer. I meant stuff like bone meal and blood meal, but after looking through your blogs more thoroughly I think I know the answer,. Phill! I want to try to grow herbs on my window sill as I can’t plant anything because I live in a rented house. What fertilizer should I use?? I want to grow herbs like basil, parsley, cilantro, mint, etc. I’d use a good organic potting mix with compost in it. Then some liquid sea minerals or liquid fish or liquid kelp. 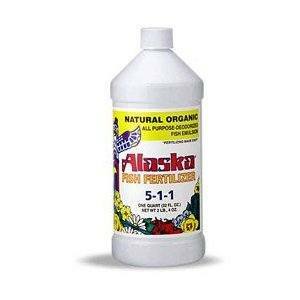 I have been using Alaska fish fertilizer and I like it. I live in the deep deep South where we get very little rain and summers are tough on the grass. What would you recommend for super hot (and humid) climates that get very little rain? 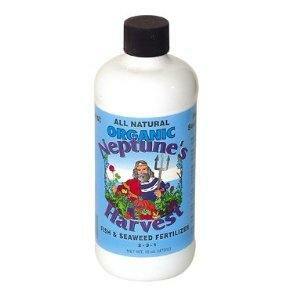 I should add that I have been using this fish fertilizer on the grass as well as my tropical plants. I recommend annual topdressing with compost, even if it’s just 1/8-1/4 inch. Or planting local, drought-tolerant plants in the lawn that still look nice when the grasses go dormant, which they have evolved to do. Phil (Smiling Gardener)I think you missed the most important part about buying a Fert. Its about whats in it, that’s not legally required to be put on the label. 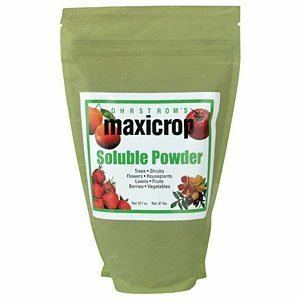 You listed maxicrop, and neptunes harvest, but did you know about maxicrop Soluble Seaweed Powder. It has 36 ppm of arsenic. Some states set the cleanup level of aresnic in soil at 20 ppm (parts per million). This means with one application of this product, your soil has just become a toxic dump site that needs to be cleaned to be safe. Yummy! Thanks for pointing that out Nathan. It’s very much worth looking into things like this. I agree that arsenic number is somewhat high, but still well within allowable limits.And one application doesn’t mean your soil will be brought up to 36 ppm. For example, if your soil is at .05 pounds arsenic per acre and you spray 1 (arbitrary) pound of maxicrop on an acre, that means you’re adding .000036 pounds per acre to your soil. If the max arsenic recommended is 0.3 pounds per acre, there’s still plenty of room.Thanks for bringing that topic into the conversation. PS, thanks for posting all of this though….it has given me some good things to think about, and it seems like you are really well informed about the different ingredients. One thing to keep in mind regarding fish and kelp products is that they do tend to contain metals such as mercury, arsenic, etc due to the water that they thrive in. Obviously the fish and kelp options are still better than synthetic fertilizers, but I wish there were more vegetable fertilizer options out there that are completely free of toxins and other undesirable compounds…have yet to find one that seems 100% healthy…. Yes, thanks for posting that link. The other side of that is that the products from the ocean have such a wonderful balanced of so many different minerals which are just not found in other options such as rock dust or seed meals. But you’re right, it’s a compromise. I believe in KISS principle (Keep It Simple Stupid).As a home gardener, I do simple composting in a two step process – put all kitchen scraps in Bokashi and later bury it in the garden. I haven’t used the Green Bin in a long while for municipal pickup. I have become very possessive of my kitchen waste. Soil amendment is an ongoing process. Let it happen in a slow and steady manner while you continue to reap the harvests.I can also recommend No Guff Vegetable Gardening by Donna Balzer & Steven Biggs for basic education about gardening. This not to take away from Phil’s thunder though. I like his advice on using fall leaves as mulch in the spring and summer time as the best of all. His educational videos are phenomenal. I am an avid reader of his posts and have watched many of his videos. Im a rice farmer in the Philippines, Im looking for organic fertilizer and insecticide for my farm and other lad owners in my region. Kindly advice here to buy them. Thank you for your help. Thanks for the information. What do you think about using mycorrhial fungi? Thanks! I had been reading about 2015 being declared International Year of Soils and that the use of artificial nitrogens (guilty!!) contributed to degradation of our soil. Even though I mostly have container gardening I had thought I’d like to try this new mycorrhial fungi. I’m going to give it a try this year. HelloUp at the top where you talked about the SCD Bio Ag, purchasing a mother culture and making your own. Could you go into detail about this. What is a mother culture and how could i start one for fertilizing. Hi Phil, I recently received my soil tests results, and Mg and Ca are listed as “excessive” with no explanation as to what causes this, how to fix it, or if it even needs fixing. The soil tests were done on the soil in my raised beds, used to grow fruits and vegetables. I mix my own compost into the soil, and have only used organic plant foods and compost juice. Any ideas? Thanks. Did they say anything about other minerals? Specifically potassium, sodium and sulfur?